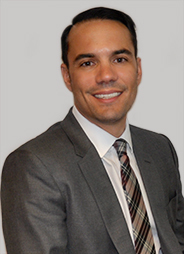 Mr. Salazar has been practicing law since 2006 and is a Board Certified Specialist in Construction Law. Mr. Salazar devotes his practice to a broad array of construction-related matters, including the representation of developers, contractors, and subcontractors in construction defect, delay, contract, and lien enforcement claims. He also represents design professionals in professional liability claims and businesses in large-scale civil and commercial litigation. Mr. Salazar handles cases arising from a number of sub-disciplines in road construction, including, but not limited to, design deficiencies, improper product selection, cost overruns, defects, and maintenance of traffic. He is certified by the American Traffic Safety Services Association (ATSSA) in advanced Maintenance of Traffic. Mr. Salazar is routinely involved in multi-million dollar cases. He writes and speaks on various topics in construction law as well as banking and finance, among others. Mr. Salazar earned a Bachelor of Science from the University of Florida and a Juris Doctorate from Stetson University, where he enjoyed a great deal of academic success. Since becoming a lawyer in 2006, Mr. Salazar has garnered recognition from various respected and well-recognized organizations. For example, Mr. Salazar served as the Co-Chair of the Young Lawyers Division of the Florida Defense Lawyers Association (“FDLA”) from 2007 to 2008. He was re-inducted as Co-Chair for the 2008 to 2009, 2009 to 2010, and 2010 to 2011 administrations. Mr. Salazar was named one of Florida Trend’s Legal Elite, Up-and-Comers, each year from 2008 to 2010. The Cystic Fibrosis Foundation named Mr. Salazar one of Miami-Dade County’s 40 under 40 Outstanding Lawyers in 2009. Mr. Salazar was awarded the James A. Dixon Young Lawyer of the Year Award by the FDLA in 2010. Each year from 2012 to 2016, he was named a rising star in construction litigation by Florida SuperLawyers Magazine. 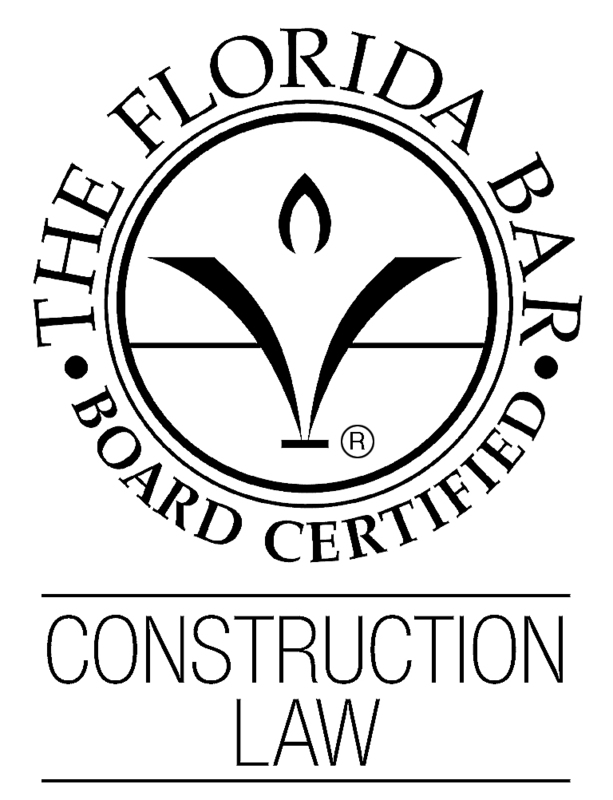 In 2013, Mr. Salazar served as Vice-Chair of the Construction Law Committee of the Dade County Bar Association. In 2014, he served as Co-Chair and, in 2015, as Board Chairperson. Mr. Salazar is admitted to practice before the United States District Court for the Southern District of Florida, the Supreme Court of Florida and all other State courts within the State of Florida. Obtained complete defense verdict after 30-day jury trial, on behalf of general contractor, in which plaintiffs sought $14.5mm; judgment upheld on appeal. (Co-Lead counsel). Obtained final judgment, after 3-day bench trial on behalf of developer, denying construction lien foreclosure claim which exceeded $1mm; judgment upheld on appeal. (Lead Counsel). Secured final summary judgment on $30mm foreclosure and breach of contract action against developer of high-rise condominium, securing summary judgment as to priority over numerous lienors. Also, conducted transaction after foreclosure sale; no appeal. (Lead Counsel). Secured final summary judgment on behalf of roofer in $211mm construction defect claim against nine plaintiffs based on fraud upon the court, spoliation of evidence, and failure to comply with the court’s discovery orders; no appeal. (Lead Counsel). Secured final summary judgment on behalf of corporation and its principals in a multi-million dollar lawsuit brought by an alleged partner for declaratory relief, accounting, and breach of fiduciary duty; no appeal. (Lead Counsel). 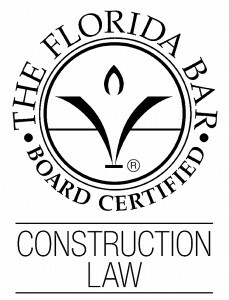 Obtained summary judgment against general contractor on behalf of structural engineer/special inspector in a construction delay lawsuit based upon a duty to defend and indemnify provision in the developer’s contract with the general contractor, to which our client was a third-party beneficiary. This claim arose from the construction of a high-rise, multi-million dollar condominium; no appeal. (Lead Counsel). Obtained summary judgment as to negligence on behalf of threshold inspector in construction defect matter, where the claims exceeded $28mm, based upon AR Moyer and its progeny. Before that, obtained dismissal with prejudice of a number of claims, including common law indemnity, equitable contribution, and negligent misrepresentation; no appeal. (Lead Counsel). Obtained final summary judgment on behalf of civil engineer in multi-million dollar negligence suit, based upon the Slavin doctrine; no appeal. (Lead Counsel). Secured dismissal with prejudice of claims for nuisance, implied condominium warranties, and special damages — including stigma damages — on behalf of general contractor in loss of use and defect claim at a high-end condominium; only nuisance dismissal appealed and judgment upheld on appeal. (Lead Counsel). Obtained No Liability Award in Non-Binding Arbitration on behalf of a bridge contractor. Three Co-Defendants were found liable for respective pro-rata shares of a $37.5mm decision. Thereafter, secured highly favorable confidential settlement on behalf of client. (Lead Counsel). Obtained three dismissals, on behalf of bank, of multi-million dollar usury claim because a late charge is not tantamount to a usurious rate when the late charge exists to induce timely payment of an obligation. When the Court indicated the next dismissal would be with prejudice, secured a highly favorable settlement on behalf of bank; no appeal. (Lead Counsel). Part of team that secured favorable confidential settlement in $40mm lien foreclosure claim on behalf of developer. (Co-Counsel). Negotiated in excess of 70 favorable settlements on behalf of general contractor for claims based upon loss of use, damaged property, and personal injuries due to an explosion at a high-end condominium. (Lead Counsel).